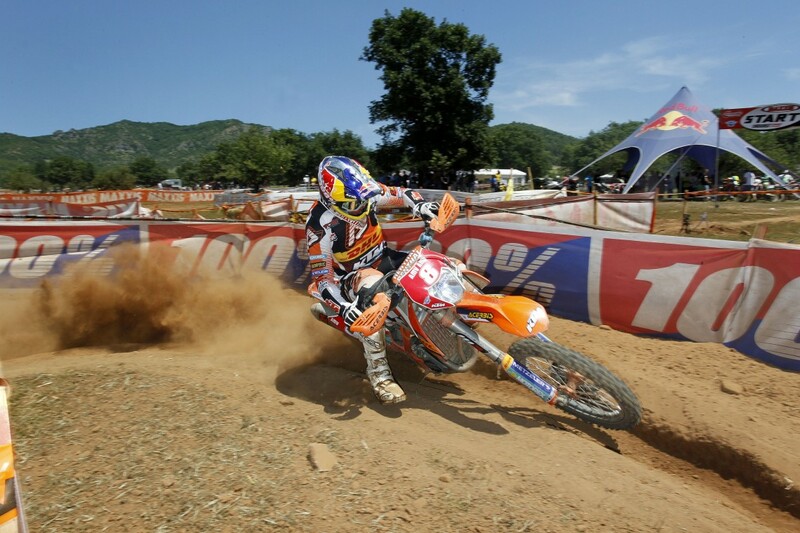 The KTM Enduro Factory Team turned up the heat again this weekend at Rd. 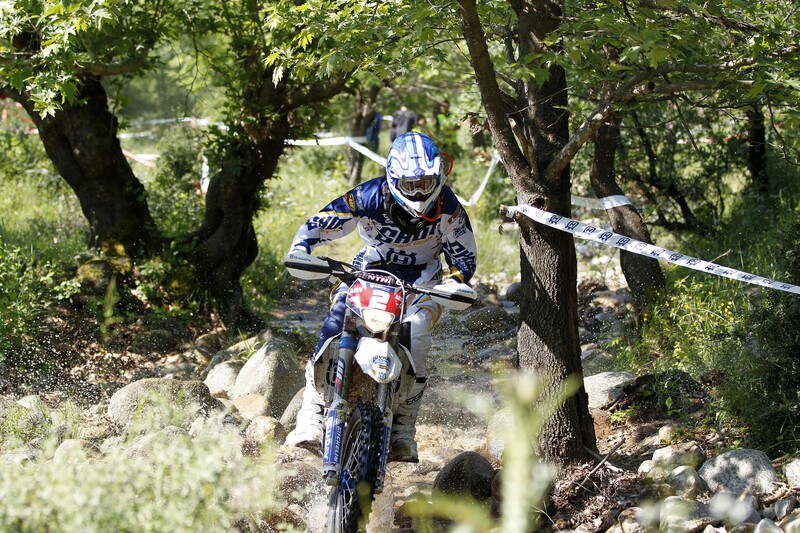 5-6 of the World Enduro Championship to leave Kalambaka in Greece with another cache of podiums and championship points. Christophe Nambotin came away with a 1-2 in the E1 class and was well supported by teammate Cristobal Guerrero with a 4-3 results. 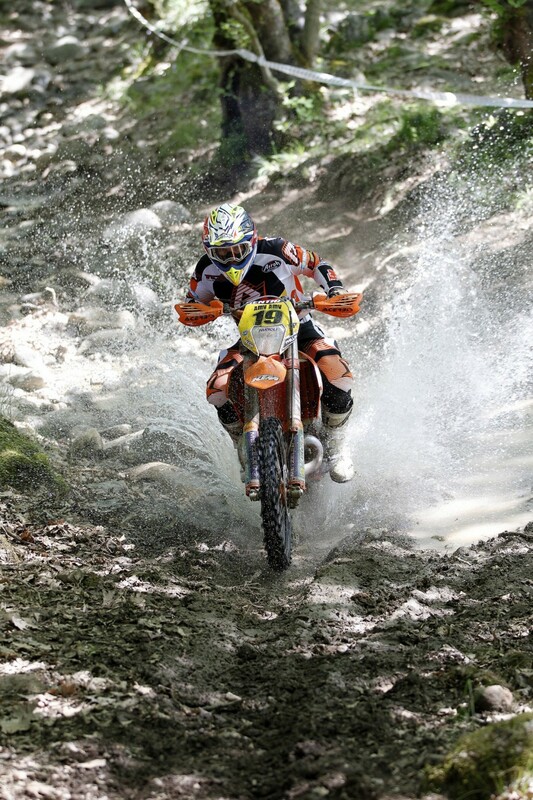 Antoine Meo had a 2-1 results in the tight E2 class and Ivan Cervantes and Matthew Phillips dominated E3, each picking up a race win and a podium. Nambotin of France won six tests on Saturday and was well placed in the remaining tests to wrap up his day with a 37.98-second advantage. 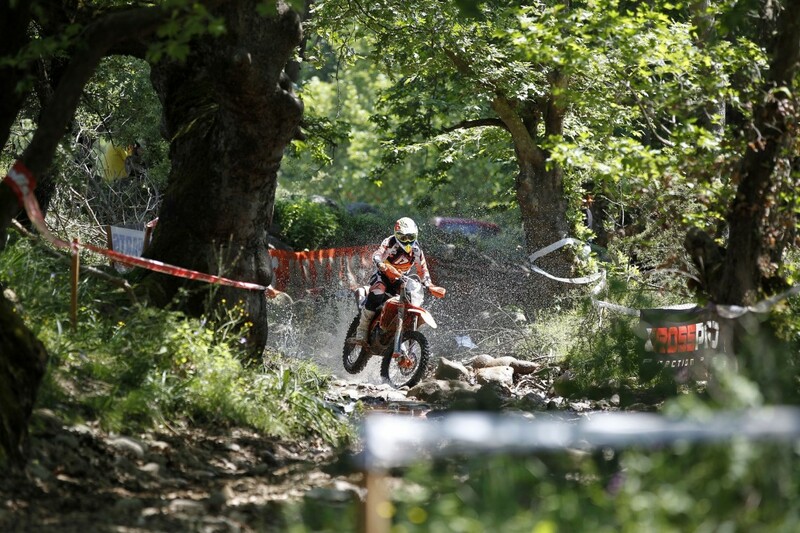 He made a couple of mistakes in the opening Enduro test on Sunday, dropping about 13 seconds in the process but still fought back to trail eventual winner Eero Remes by just under three seconds after a long and hard day’s ride. 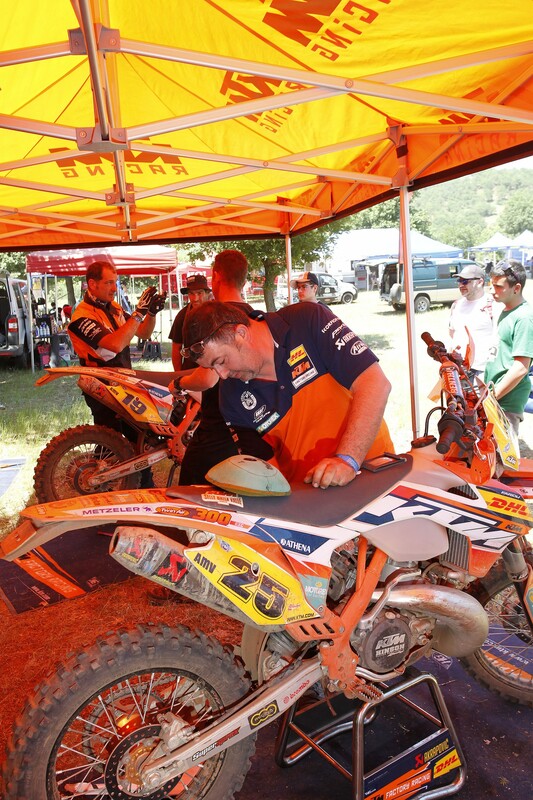 Spanish teammate Guerrero, who finished fourth on Saturday, was in much better form on Sunday to take third overall. Nambotin, the current E3 champion comes away with a 29-point lead in E1 with Guerrero on second place. 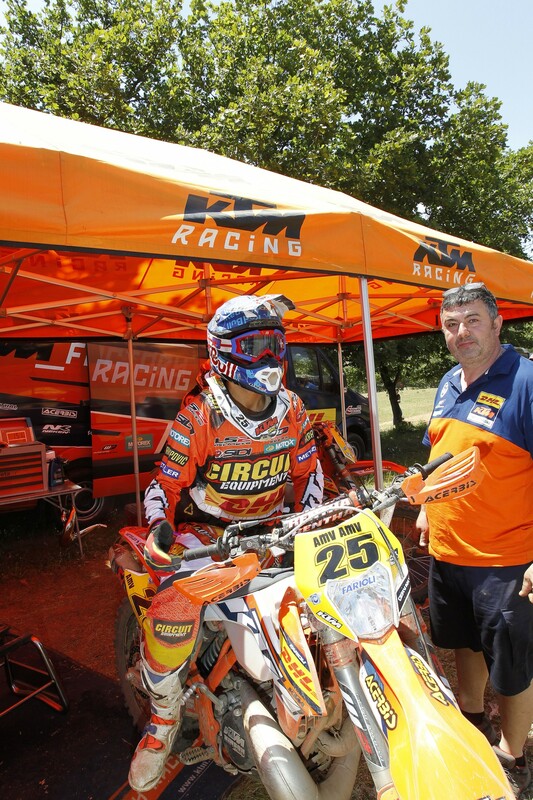 They both compete on the KTM 250 EXC-F machine. French rider Antoine Meo exacted revenge on Sunday by reclaiming the class victory from countryman Pela Renet who stole the glory on Saturday by just 2.04 seconds. 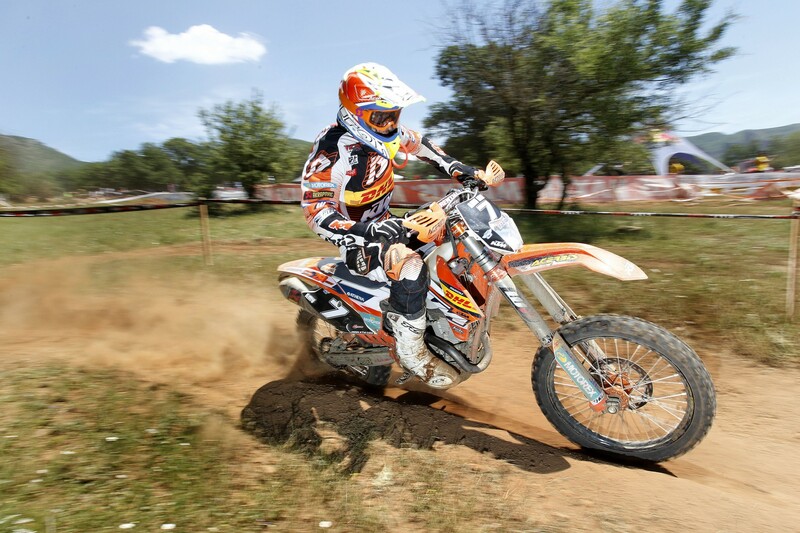 Meo did well tor recover after a shaky start on Day One where he had to scramble back from four crashes in the opening two tests and fought hard at the end of the round to make it a close call for Renet. 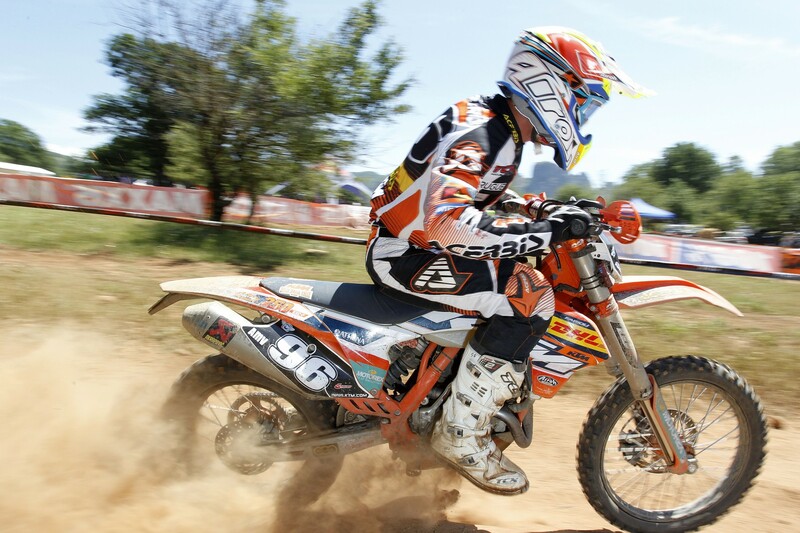 He claimed seven test wins on Sunday and finished with a 19.13 second advantage over Renet. “Meo had a slow start yesterday and didn’t find his rhythm but today he was fighting right from the start,” Fairoli said. 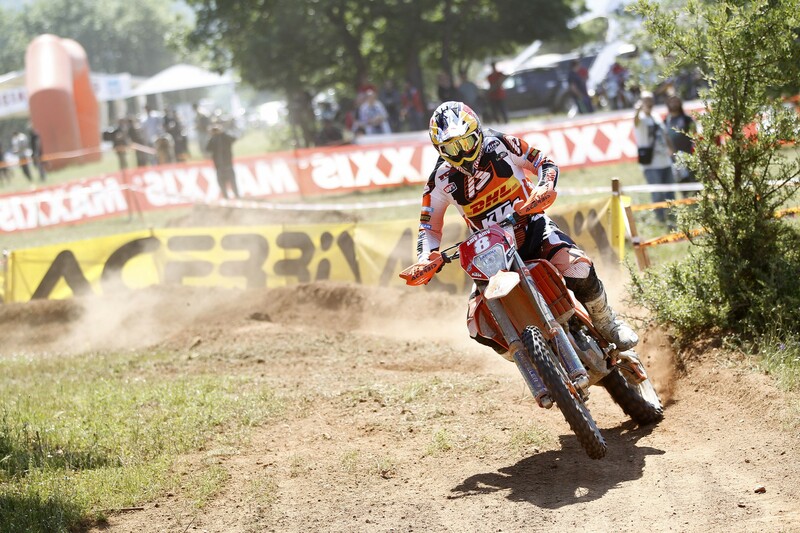 Meo moved from E1 in 2013, where he was the dominant rider into the highly competitive E2 class this season. 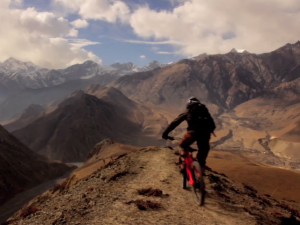 He rides the KTM 350 EXC-F machine. 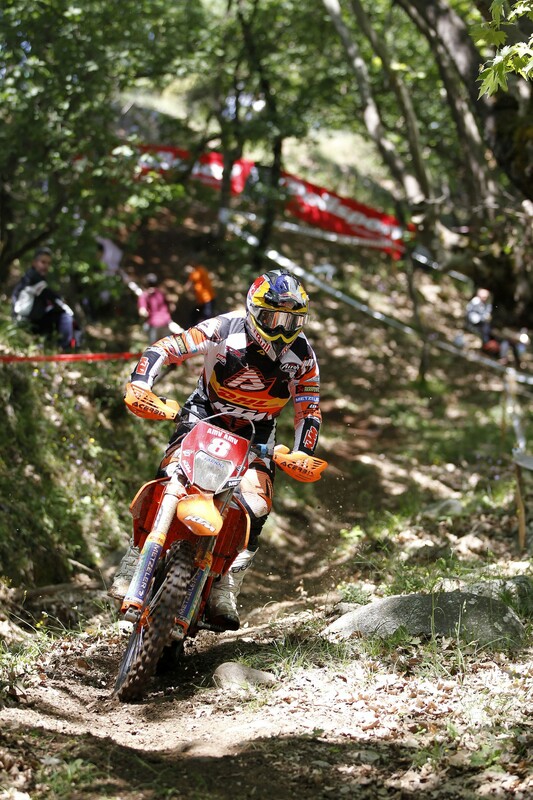 It was an excellent weekend for both of the KTM factory riders in the big bike category. 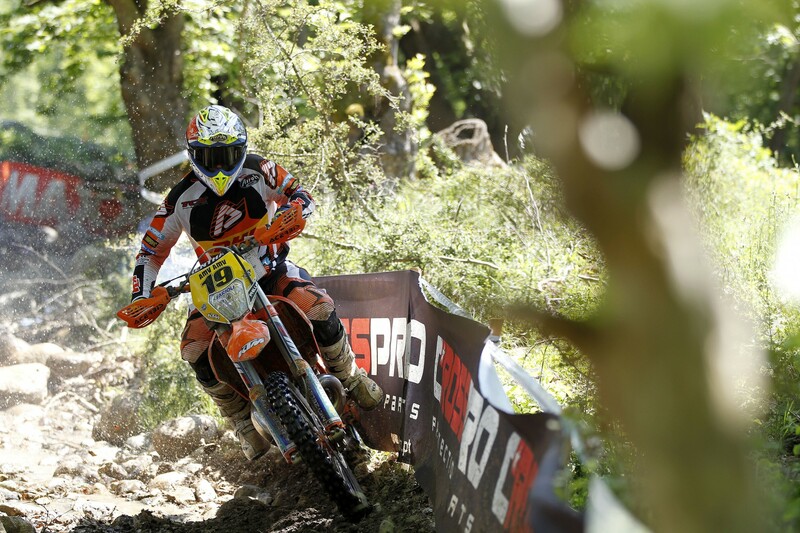 Spain’s Ivan Cervantes took the victory from Matthias Bellino of France on Saturday with team rookie Matthew Phillips finishing overall third despite several big mistakes in the second extreme test. But the young Australian bounced back on Sunday to claim his first win for the team after leading the race from start to finish. Phillips victory spoilt Cervantes’ perfect scorecard but the Spaniard still has an 18-point lead over Phillips in the points. Cervantes was a close contender throughout Sunday’s race and put in a heroic finish despite an ankle injury in the closing stages. 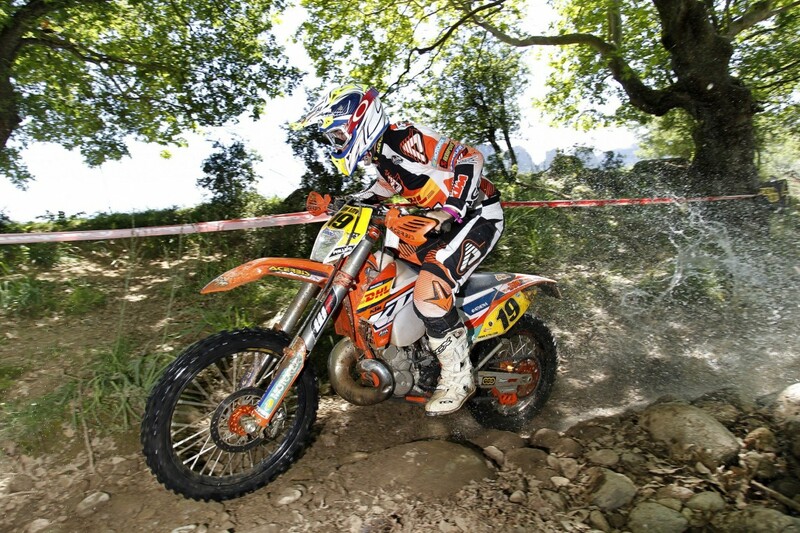 Both Cervantes and Phillips compete on the KTM 300 EXC machine. Photos by Future 7 Media.